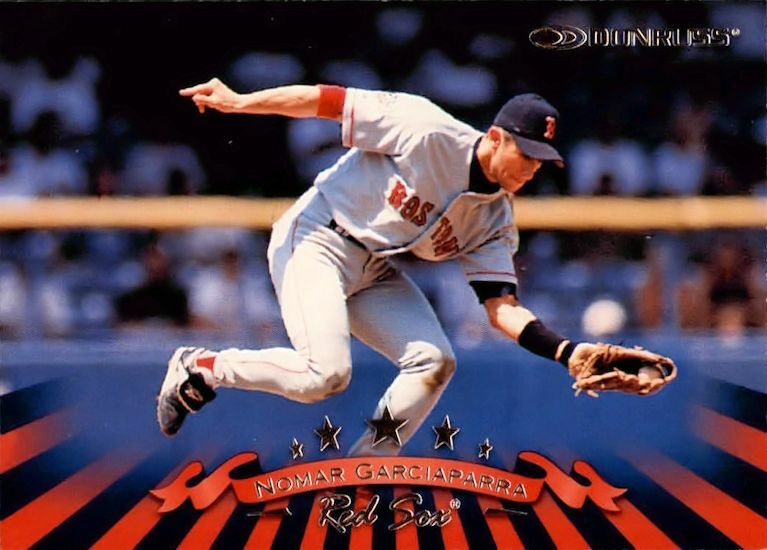 ON THIS DATE (April 14, 1998) ... Nomar Garciaparra drove in a career-high five runs, including three with a homer in the eighth inning, as he led Boston to an 8-6 victory before 18,490 fans at Fenway Park. Nomar's home run, which followed walks to pinch hitters Midre Cummings and Jim Leyritz by Bill Taylor, settled into the left-field screen and erased a 6-5 deficit. It was Boston's fifth victory in as many games on this homestand and the third the Sox have won in their last turn at bat; they did it Friday and Sunday against Seattle. Oakland suffered its fifth straight loss. It took the Boston bullpen, which had squandered a 5-2 lead after starter Butch Henry left, off the hook and made a winner of Tom Gordon, the last of six Red Sox pitchers, who allowed a two-run single to Rafael Bournigal that capped the A's four-run eighth. Nomar had helped stake the Sox to a 5-2 lead with a two-run fourth-inning triple that nicely complemented solo homers by Troy O'Leary in the second and Mo Vaughn in the third. But Dennis Eckersley, Steve Avery, and Gordon coughed it up in the eighth as the Sox sweated this one out. Jason Varitek led off the eighth with a 410-foot fly out. Billy Taylor then walked Midre Cummings and Jim Leyritz. That prompted a conference at the mound. When it ended, Nomar hit Taylor's first offering into the screen, and this one was over.